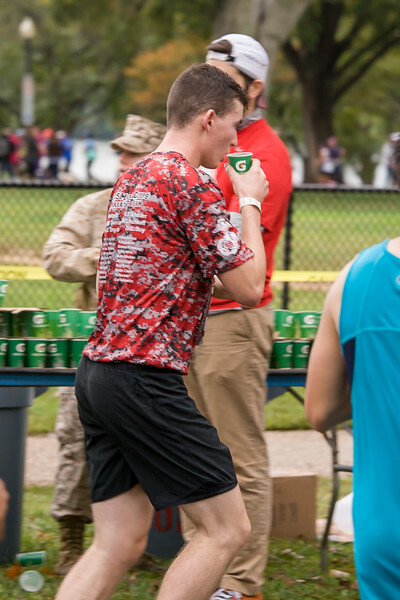 This gallery features the Rensselaer Polytechnic Institute (RPI) Naval ROTC team running the Marine Corps Marathon in the Washington DC area. These images also offer an overview of the race, starting chronologically from the start area, moving to the 10-mile and then the 16-mile points, then on to the final mile and finish line. The images provide an overview of the marathon--the runners, the characters, and the supporters (and their signs). You may right-click to download the images; use the Share button (below and to the right of the image) to share the images on social media; and order prints by clicking the "BUY PHOTOS" button. Note: The RPI team art print is designed to be printed at 11 x 14 inches.